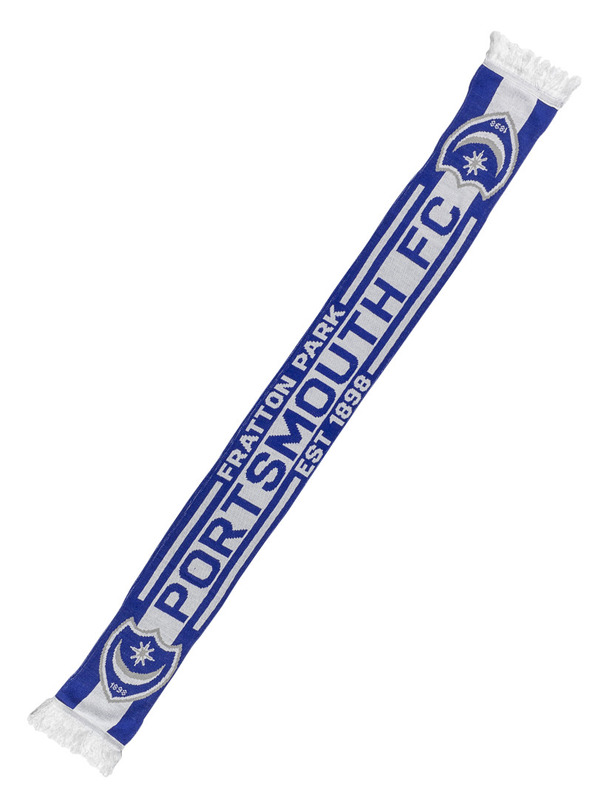 The Portsmouth FC Stadium Scarf. Blue and White Scarf with Fratton Park details. Complete with Portsmouth FC Club Crests.